During Classification, there might be chances of tagging a SKU twice and it will create problem in costing. EagleOwl provides a option to view double tagged items. Users can view these kind of SKUs by checking the checkbox named "Show double tagged"
As shown in above example, 6 SKUs are tagged twice under Cost Center categorization. 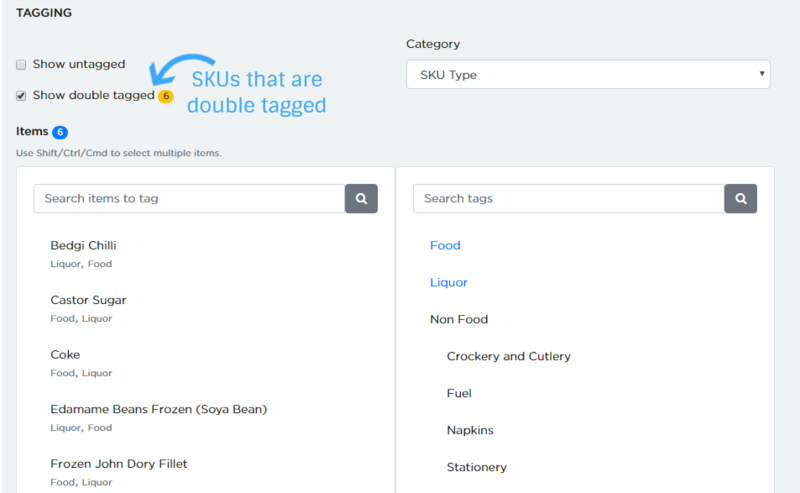 Users can now tag all the SKUs exactly once.